Dial: TTY 711 or 800 662 1220 for the hearing impaired. HealthCare Choices (HCC) is dedicated to addressing the comprehensive healthcare needs of New Yorkers with the poorest access to services. We bring together medical, dental, specialty, behavioral health, as well as alcohol and substance abuse counseling services within a caring and safe environment to assist individuals to have longer, healthier lives. With evidence-based, compassionate and respectful care, HCC improves health outcomes for its’ patients through early identification and management of chronic diseases, preventive programs like smoking cessation, dietary counseling, and health screenings as part of the coordination of primary and specialty care. While HCC receives financial support from government agencies, it relies on charitable grants and donations from foundations and generous individuals to sustain its pioneering role on the new frontier of comprehensive health care services. Private grants and contributions allow our organization to respond to new challenges and incorporate cutting-edge treatment and technology into our health centers. Through the generosity of friends like you, we will be able to continue to provide care to the underserved; including babies, children, adults and senior citizens. Your help will allow HCC to continue to innovate new ways to strengthen the very heart of New York City – its people. Your contribution helps to ensure that we continue in our mission to meet our areas’ growing healthcare needs. TTY 711 or 800-662-1220 for the hearing impaired. HealthCare Choices is a not-for-profit community health center that provides a variety of health care services regardless of a person’s health insurance status or ability to pay for services. 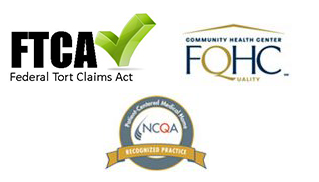 HealthCare Choices is a FTCA (Federal Tort Claims Act) Deemed Health Center. We are deemed a Federal Health Center Employee. Copyright 2018 Healthcare Choices. All rights reserved.